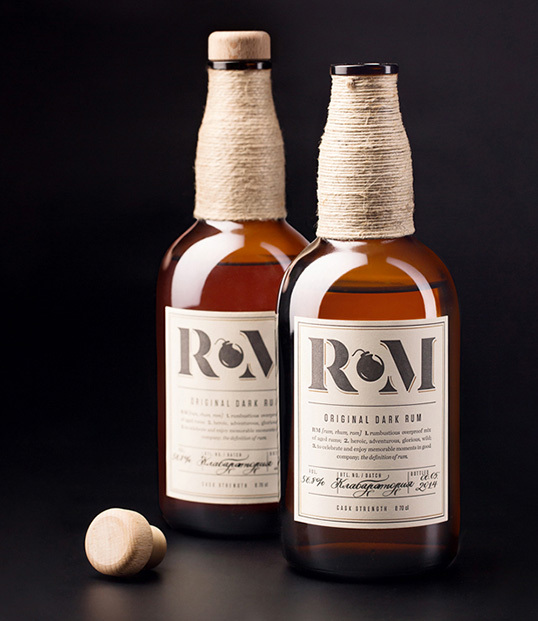 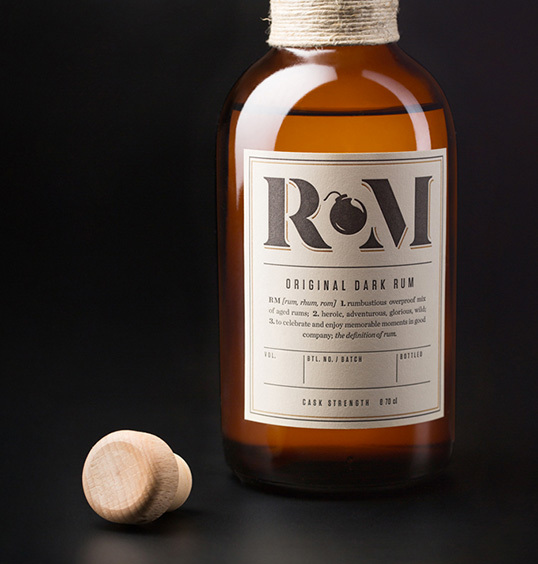 “RM is a unique author’s rum created by Roman Milostivy. 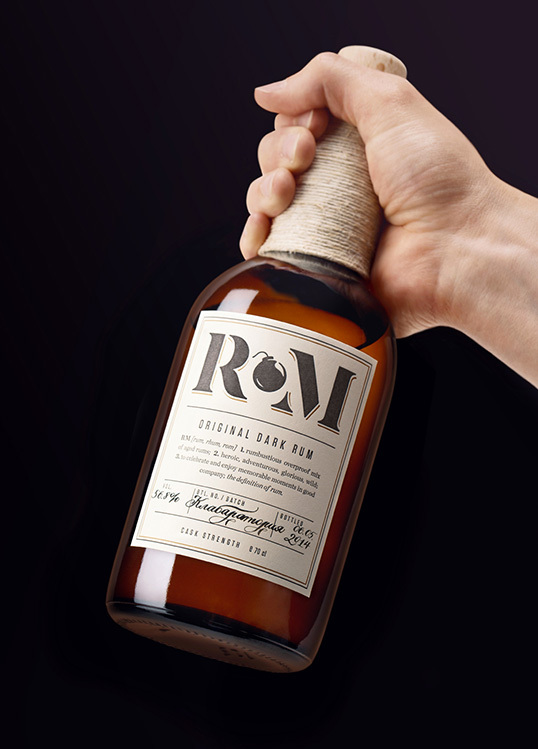 RM is a blend of several rums of the Carribean which undergoes it’s final aging in the North of Italy in three diffrent casks: acacia, Swiss oak, and, finally, cherry. 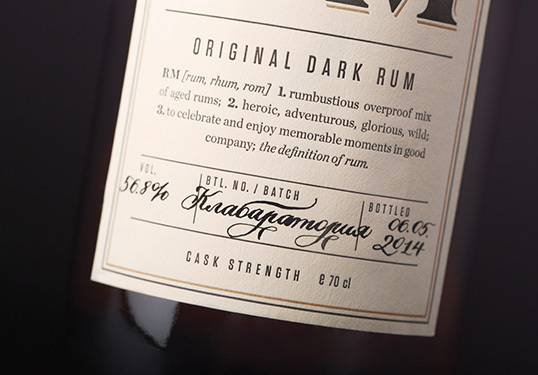 The unusual cask strength of 56,8% is achieved by presence of an overproof rum. 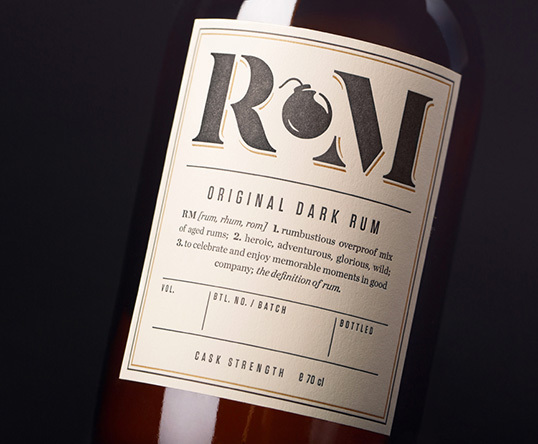 The rum has a long pleasant aftertaste and its aromas are revealed gradually due to the use of multiple casks and high strength.